We are now posting open education resources for professional development! Our STEM Teaching Tools have been used to support extended professional development (PD) sessions. We are now posting open educational resource (OER) versions of those PD sessions. They include all of the resources that PD facilitators need to adapt and run the sessions—including slides, speaker notes, facilitator guide, and embedded resources. We are starting with PD focused on supporting 3D formative assessment. We will keep adding more over time. STEM Teaching Tools PD "Playlists"
Here are STEM Teaching Tool Playlists! Our STEM Teaching Tools can be used for a range of purposes. The following are some specific uses that have been developed. 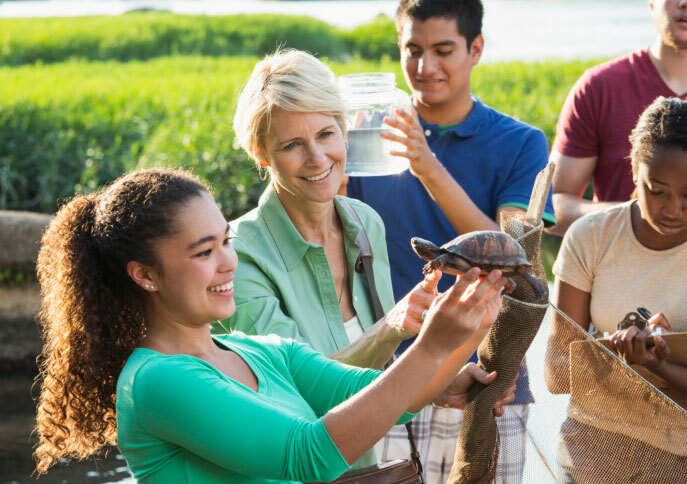 You can think of them as 'playlists' of STEM Teaching Tools to orient yourself or different audiences to a particular topic in STEM education. We will keep adding more over time. Our bookmarks were a hit at the NSTA conference, so we've posted them online for you to print yourself. 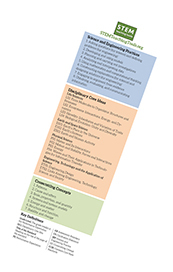 They offer a concise list of the science and engineering practices, disciplinary core ideas, crosscutting concepts, and key definitions for easy reference as you familiarize yourself with the NGSS.